Now a salute to one of my favorite places, one not yet featured in Dacey newsletters. 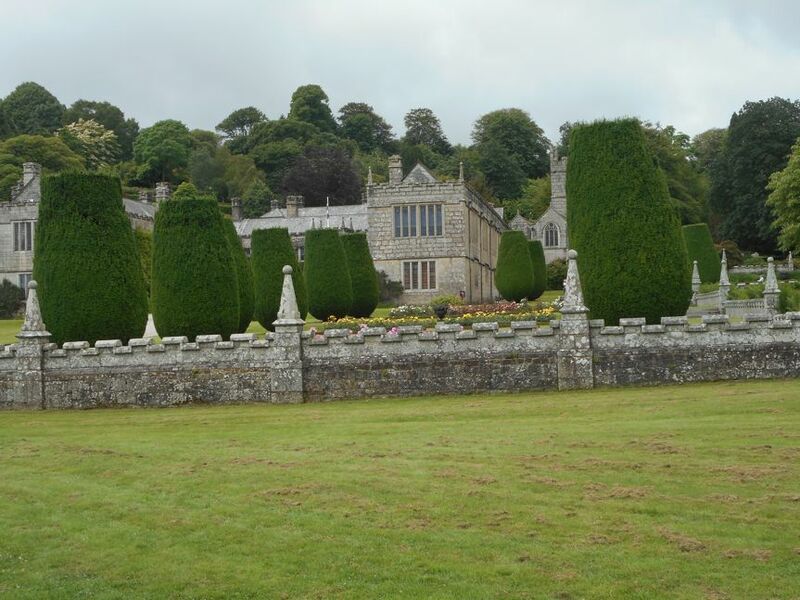 Lanhydrock, a National Trust administered estate and 17th century home, gives history buffs and Downton Abbey fans a chance to wander through the home and grounds of a real family who dwelt there from the 17th century until after the Second World War. Everything is ready for the family (parents and nine children) and servants (80 staff members for house and grounds). The night nursery has curtained cots and toys and nanny’s bedroom is nearby. The billiard room is set for a game before dinner. The bathroom has tub, soap, sponge and towels. The dining table is set with an impressive array of cutlery, china and glasses while downstairs a vast kitchen is ready with meats, cheeses, eggs, bread, pies and puddings. Next to the cook’s chair is her side table with pot of tea. One can imagine the bustle. One can see how the servants must have been kept running in such a large house. The marble stairs leading to the servants quarters have been worn by frequent passage of hurrying feet. Servants’ bedrooms are open for observation just as are those of the family. What one discovers is a likable family who were involved in the lives of their servants, who suffered terrible losses during the First World War and who took in and nurtured evacuee children during the Second World War. 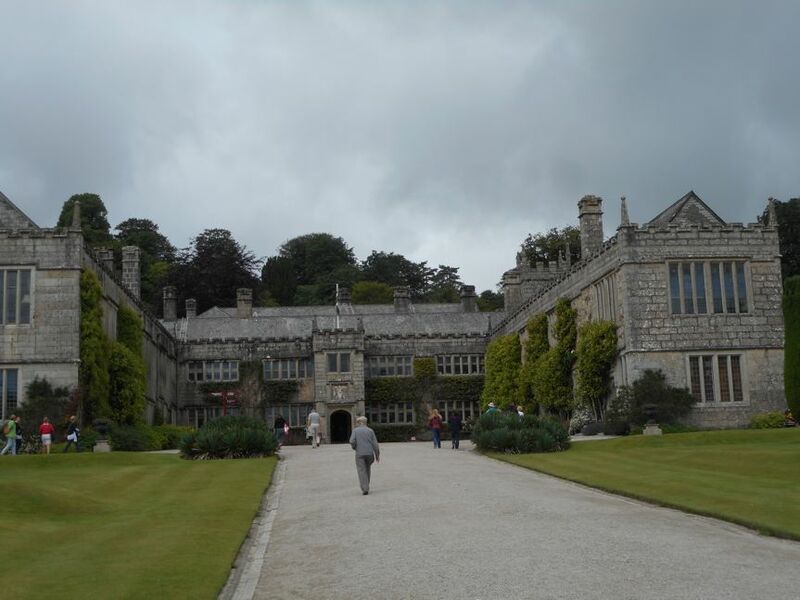 I felt as if I had stepped into another world and was in the mood to sit amidst the treasures of the Lanhydrock library (largest collection in care of the National Trust) when it was time to leave. 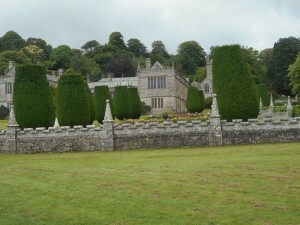 I will have to leave exploration of the parkland and the various out buildings for another visit—or for Dacey travelers who manage time better than I.
Lanhydrock was one of the highpoints of my Dacey Tour also. I appreciated the way the staged the house to make it feel like it was still lived in. Thanks so much for sharing. Thanks for a peek into the house, Susan. Can’t wait to see it myself next summer! This beautiful estate was really interesting. Very similar to what I suppose Highclere castle is like, from the Downton Abbey series. We saw the kitchens and the bells for servants. 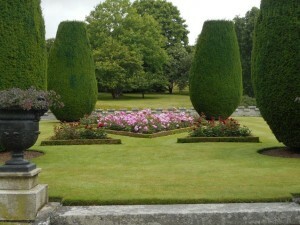 The living areas and servants quarters. Stories of the family and the details were so special. It is really set up just as it was lived in. I have to say that Lanhydrock estate was the highlight of my Cornwall trip, the entire trip was magical and I would do it again in a heartbeat but this place touched my heart. I felt the family’s presence, their emotion, it’s so much more than just a beautiful estate, it’s an experience like no other, it was for me anyway.